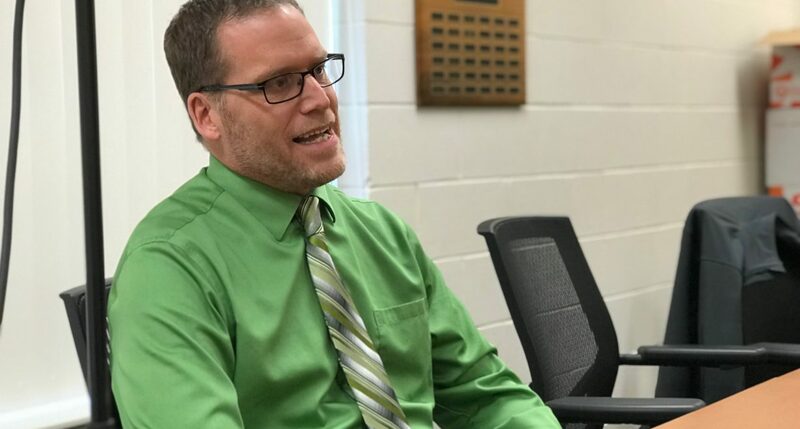 Northern Cass Superintendent Cory Steiner is leading his school in a bold three year plan to transition to full mass customized learning. The plan moves the school away from grade levels to an education model based on levels. The idea is every child will be placed based upon where they’re at according to standards. You’ll also hear about the Jaguar Academy at Northern Cass. It includes about three dozen 8th and 9th graders who opted into the program and will essentially take their courses independently. Superintendent Steiner talks about early successes, bumps in the road and also gives advice to other schools considering transitioning to an innovative education model. Make sure to like The Cutting Ed on Facebook, follow on Twitter and listen in every Tuesday for a new episode. You can find The Cutting Ed on iTunes or Soundcloud or Google Play, or anywhere else online where you can find podcasts. Most importantly, tell your friends, family and colleagues about this exciting new venture in sharing the good word about North Dakota’s education system. Let’s have the conversation, together!